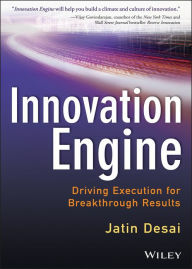 Jatin Desai's Book clearly demonstrates how to build a business case, create a clear and aligned innovation strategy, and build your own playbook for innovation. Actionable ideas for high performance innovation, year after year! • Accenture Report Enabling a Culture of Entrepreneurship. • Managing Innovation: an insider perspective. • What we need in 2012: "Convergent Thinking"
• What Will Happen in 2011?